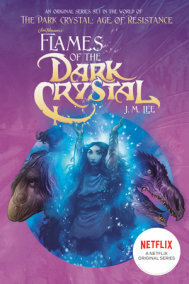 Before you watch the upcoming Netflix series, read the original novels from J. M. Lee (The Dark Crystal: Age of Resistance) that intertwine with the events of the series. 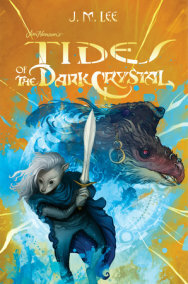 Kylan of Sami Thicket is a skilled song teller, but singing the tales of long-gone heroes won’t help his friends as they journey into dangerous, unknown lands. 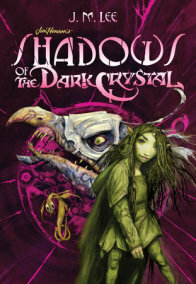 After uncovering the betrayal of the Skeksis Lords, he and his friend Naia are on the run, pursued by the Skeksis’s underlings and outcast even among their fellow Gelfling. But Kylan knows the truth must be told, no matter how difficult the telling. Maybe there’s use for a song teller after all . 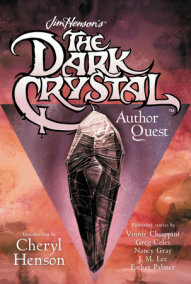 . .
Jim Henson’s The Dark Crystal is one of the most beloved and enduring fantasy stories of the past thirty years. 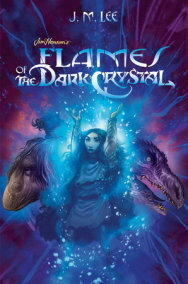 This series of young adult novels will both please the diehard fans and bring new fans in to the world of The Dark Crystal.